Electrical concerns are quite common regardless of whether you are a residential homeowner or a commercial business owner. So, you need to hire a company which will take care of your electrical needs. We are all aware of the inconvenience that one is likely to experience if there is an electrical glitch or complete failure at home or in your office. So, it is crucial that you have an electrician at hand which can tackle all kinds of issues you have. We, at JPEG Inc. Electrical Contracting, are one of the best companies that you can hire for electrical needs. 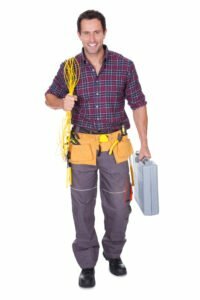 We have expert technicians who can handle all sorts of electrical repairs and services such as ceiling fans, lights, electric water heaters, breakers, fuses, appliance circuits, control wiring, computer circuits, code corrections, fiber optic cabling, commercial wiring, industrial lighting, and so on. So, if you are located in areas likeDavie FL, Fort Lauderdale, Hollywood FL, Pembroke Pines FL, Plantation FL, or Sunrise FL, you should immediately resort to us without any hesitation. Here, we have put together a few reasons why you should hire us for your electrical concerns. Take a look. First of all, we cater to various kinds of electrical problems with respect to both commercial as well as residential spaces. So, regardless of whether you need an electrician for a commercial need or a residential purpose, we can be there for you. Next, we are a licensed and insured company which has experienced and highly knowledgeable technicians to take care of your needs. Right from exhaust fans, ceiling fans, generators, to the communication lines, computer circuits, industrial lighting, electrical inspections, we can handle it all. Last but not the least, we are available 24×7. So, if you are facing an emergency, you should know that we are right there for you even during the odd hours. So, if you are considering to hire our electricians, then contact us now.